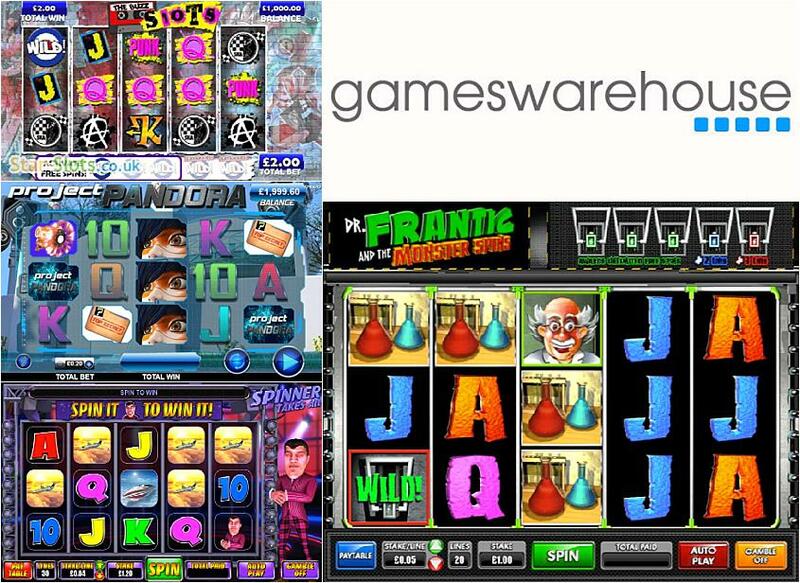 Great graphics and animation are two things which really catch the eye with well-known slots developed by Games Warehouse. The games provider, which makes slots for land-based and online casinos, will be familiar to many players, as its first branded game was Pink Panther in 2004. It is a popular supplier with a proven pedigree in producing entertaining slots using cutting-edge technology. It’s Paragon brand is familiar to players in pubs and bars across the UK, and Games Warehouse has grown to be the leading supplier of pay-to-play video terminals in Britain and around the world. Click here to read more. At the ICE Totally Gaming event at Excel in London, GW Games was officially unveiled to work alongside sister developer company Games Warehouse. GW Games will provide online, mobile and land-based platforms for high-profile operators, and the games produced will range from traditional to comical and musical, with an aim of developing exciting, unconventional and unpredictable experiences. The brands are part of AMI Entertainment Network, which is a world leader in providing music and interactive TV solutions. The group has more than 150,000 entertainment units which are making money for its partners all over the world. There are some cute slots to appeal to all levels of players in Games Warehouse’s portfolio, offering a fun and entertaining experience. One of the most innovative is Birdz, which is a new style of cascading slot. Hit the spin and a flock of Birdz fly towards you before landing on the telephone wires which act as the winning paylines. The animation is incredible and far more exciting than a regular slot. It shows the level of skill and artistry at work in Games Warehouse offices in Derby. Lucky’s Empire draws on the appeal of the Roaring 20s during the Prohibition in the USA. Lucky has built up an impressive bootlegging empire, but some dirty rat has stolen his liquor and he needs help to find out who did it. Spinner Takes All is based on TV game shows with presenter Buzz Goodwin handing out star prizes when the prize wheel is spun. The quality of the games produced means the company has been able to team up with some impressive names in the gaming and gambling world, including Bet365, Betfair, Ladbrokes, Gala Bingo and Mecca. Games Warehouse is part of a global electronic entertainment group which is committed to providing quality, cutting-edge games. It is a market leader in touchscreen skills games and works with businesses to provide an entertainment package which suits their needs. Being part of a major group, you can feel secure that you are going to enjoy an entertaining slot while staying safe online. New titles are also being produced to keep the company on top of the league when it comes to producing exciting games with new features, great graphics and fantastic animations. The company is licensed in the UK and is committed to compliance, ethical standards and the highest level of security.